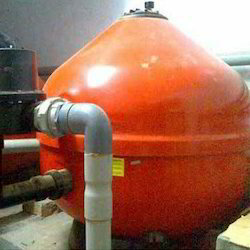 Specialised in pool Water treatment solutions for swimming pools of varied range. Right from private pool, public pools, competition pools, indoor pools, outdoor pools, lap pools etc. 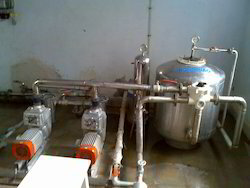 We are known for pioneering advance filtration & disinfection technology, for Swimming pool Water Treatment Solution. We offer wide range of pool water filters, ozonator that can be custom designed as per the international guidelines / specification of our valued customers. 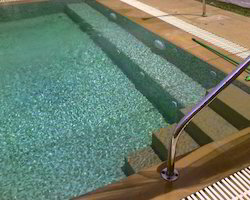 Our product range caters to private, public & competition swimming pools. Swimming Pool Water Treatment Supplies / Pool Supplies. We Offers Swimming Pool Filtration Products including Filters of FRP and Mild Steel and Stainless Steel construction for any size of Pool. These Stainless Steel Swimming Pool Filters are available from 600 mm dia up to any size to Filter Water of Swimming Pool in 4-8 hrs of operation. These Filters are available for pool of any size, including Olympic Size Pools. Standard Size Filters of dia 600 mm upto 1200 mm are provided with ulti Port Valve while bigger size Filters are provided with Individual Butter Fly Valves. 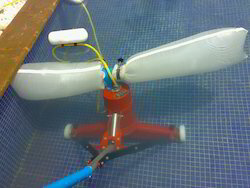 We offers Swimming Pool Submersible Suction Sweeper Unit for cleaning bottom of the Pool. These units are generally available with various option including Submersible Suction Sweeper Unit. These Submersible Sweeper units are available with option of using Cleaning Bags wihch ca be washed and again used for cleaning. However, Flexible Hose can be connected and put on the Discharge head which can be put into Overflow Gutter taking water back to Filter through Balancing tank. 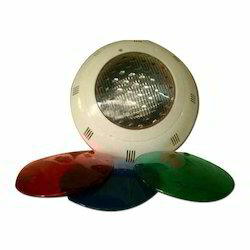 We stand as one of the leading providers of pool lightings, manufactured from superior quality of raw materials. Available in wide range of sizes and colours, these water scapes of lights are a real treat to watch. These are highly durable and high performance pool accessory. High performance oriented, these lighting can work in various temperatures. We offer a wide range of Swimming Pool Filter and accessories. 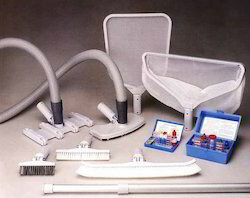 These swimming pool filter and accessories are available in FRP or MS or SS construction. The latest SS 316 filters are designed to have easy and maintenance free operation of the pool filters. We offer these Swimming Pool Basin Equipments from highly experienced manufacturers and suppliers from the world & we are also into importing deck equipments. These conform to high-quality and durability. We provide good quality skimmers' boxes of both wide mouth, regular mouth & main drains return inlets for walls of eye-ball type & adjustable flow type for base, drain cover plates of both- square types & round types. The ladders are made up of premium quality stainless steel that ensure easy installation and possess slip-resistant treads. Looking for Swimming Pool Products ?